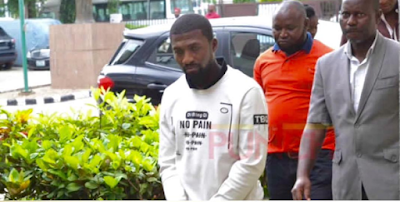 Musa Musa, one of the policemen accused for burgling the house of the Former President, Dr. Goodluck Jonathan, has been arraigned by the Federal Capital Territory Police Command, Abuja. Musa, who was dismissed following the incident was a sergeant and fingered to be among the 3 other officers who burgled Jonathan's No. 89 Fourth Avenue, Gwarimpa district, Abuja home.The magistrate Mabel Segun-Bello, after hearing arguments by respective counsels, granted Musa bail with a bond of N7 million.